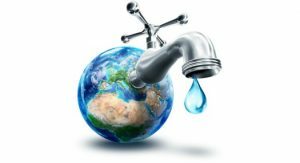 Water conservation provides significant value to condo owners, keeping costs down while helping the environment. Water sub-metering, or suite metering, can serve both purposes. Combing this with moisture detection services ensures water problems are identified and addressed before they can cause waste and serious damage. Canadians have ample access to fresh water for drinking, cleaning and entertainment. Yet an estimated 10% of individual water use results from leaks – pipes, taps and toilets. Overall, Canada is one of the heaviest per capita water users in the world. A typical 100-suite condo building without suite metering can lose up to an estimated $1,800 per month or $18 per suite because of poor water use. Suite metering is estimated to reduce individual suite water costs by up to 39 percent. Suite metering encourages condo residents to consider the cost of water in their daily lives. It offers a user-pay system where heavier water users pay more than those who consume less. Each condo resident is encouraged to take responsibility for their personal consumption of this valuable resource. Installed meters identify high-use areas. Areas with potential water leaks are more easily identified. Savings from earlier identification of water leaks include reduced insurance costs and deductibles. Fewer repairs from water damage can reduce resident expenses and inconvenience. Building infrastructure damage is lessened. When water leaks occur, early detection is essential to minimize damage and waste. Toronto based Eddy Solutions helps solve this problem. Their flood and leak protection services alert management and residents to issues by continuously monitoring the water situation both in suite and on a building level. Their IQ meter can be installed as a submeter to track usage while quickly identifying leaks, and includes a water shutoff valve, allowing users to immediately mitigate damage. Their system includes sensors placed in suites and common areas, and when water or moisture is identified, a message is sent to notify management, the resident and/or owner. Promoting water conservation reduces stress on a building’s plumbing systems. It helps lengthen the time until costly repairs become necessary. Savings from suite metering should exceed the increasing cost and use of water. 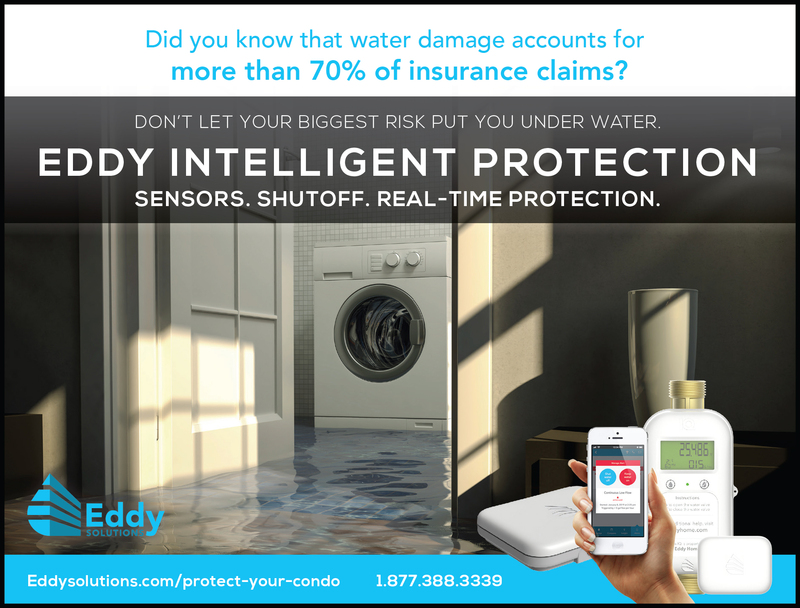 Identifying moisture and water problems sooner will reduce insurance premiums and copays, minimize damage and inconvenience, and save money. Suite metering equipment can be obtained through financing arrangements without the need for capital expenditures. Condo corporations have much to gain from suite metering of water use and early detection of water problems. It is one component of cost control and a way to reduce other costs. It aids in maintaining building infrastructure so that it lasts longer without being compromised by water issues. Finally, it ensures that heavier users of water are not being subsidized by other condo owners.